Spring Training in Florida is a must see. 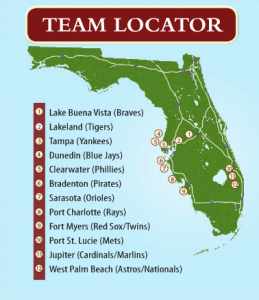 So many teams reside here in lovely Southwest Florida. We are so thankful that these major league teams are here and what they do for the communities here year around. Baseball is America’s favorite past-time so come be a part of it. At Conditioned Air we love keeping players, teams, coaches and fans cool this season. Give us a call.